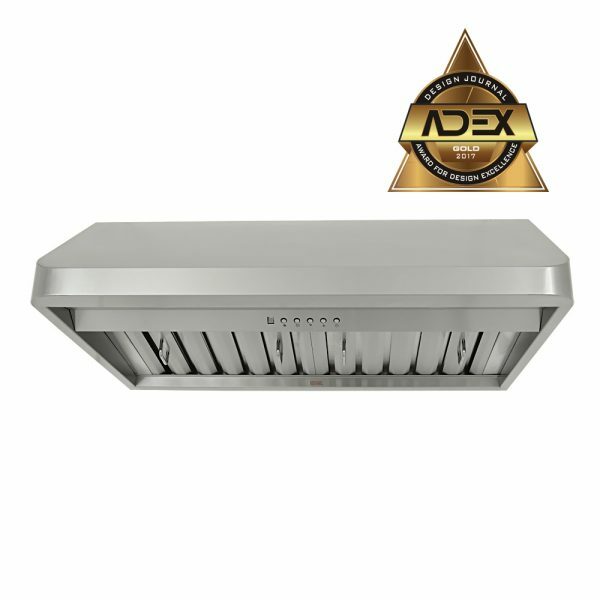 UNDER CABINET 30" - 36"
CH91 SQB-1 Premium Series has been awarded the 2017 ADEX Gold Award for Design Excellence. 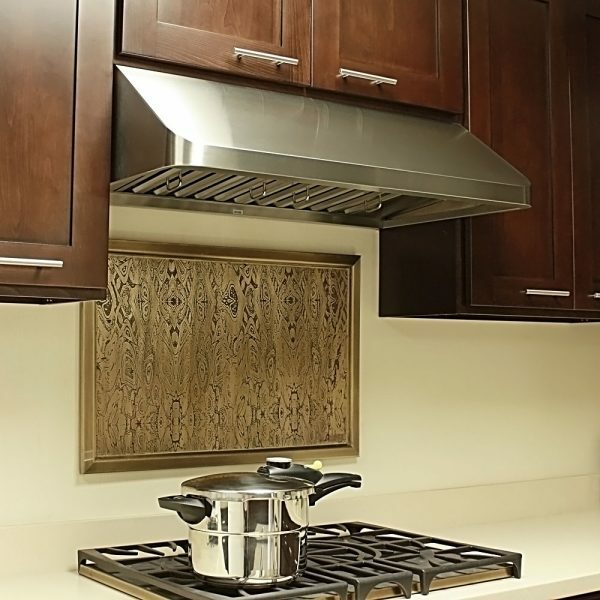 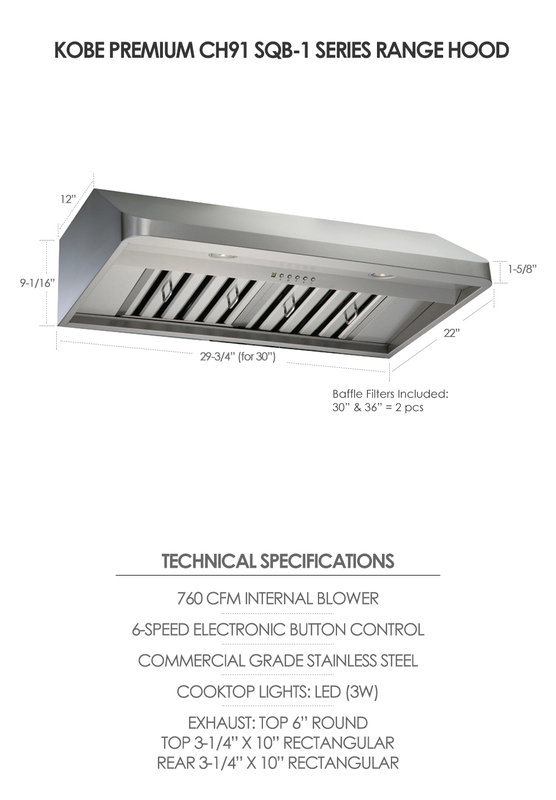 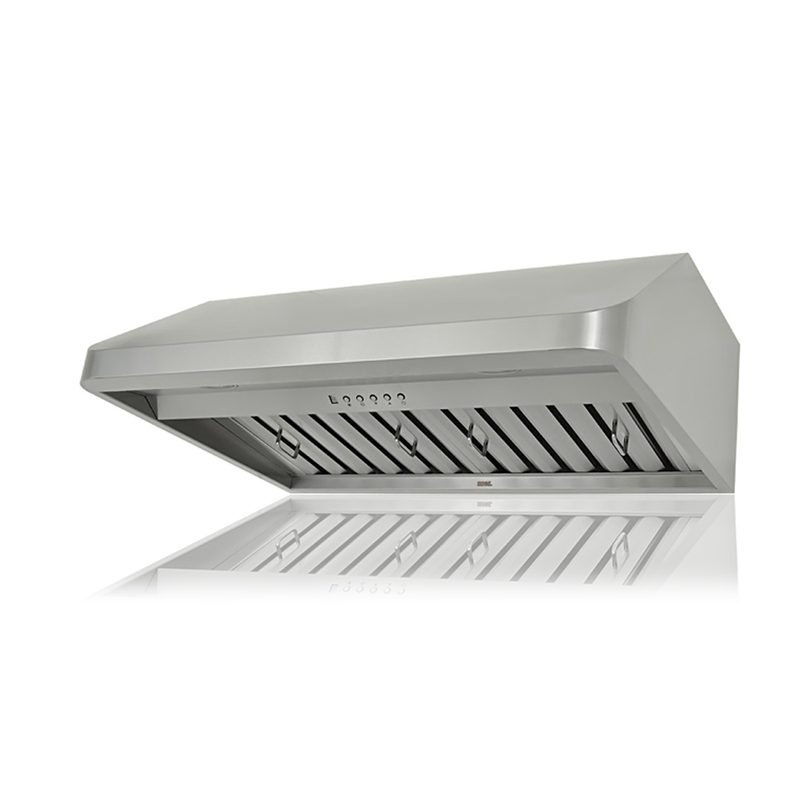 KOBE Premium under cabinet range hood offers unparalleled specs and elegant design that is sure to be a great complement to any kitchen style. It delivers a powerful 760 CFM blower that is also whisper quiet at 1.0 sone on QuietMode. 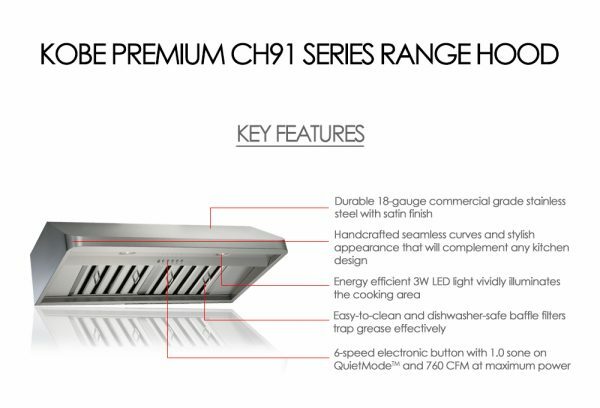 The hood is equipped with 6-speed function, electronic button control with LED display, and ECO Mode technology that lets the hood run automatically for 10 minutes every hour. 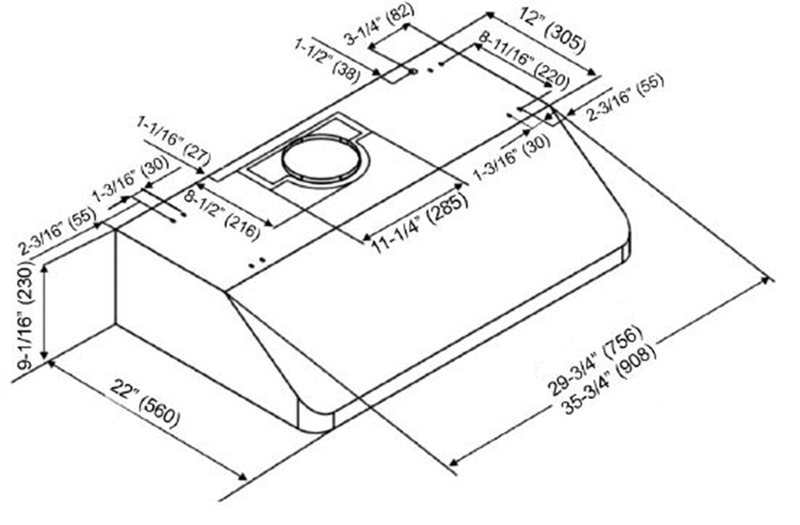 It is also handcrafted with 18-gauge commercial grade stainless steel with seamless design and equipped with energy-efficient LED lights, 3 minute delay shutoff, and uses dishwasher-safe baffle filters.